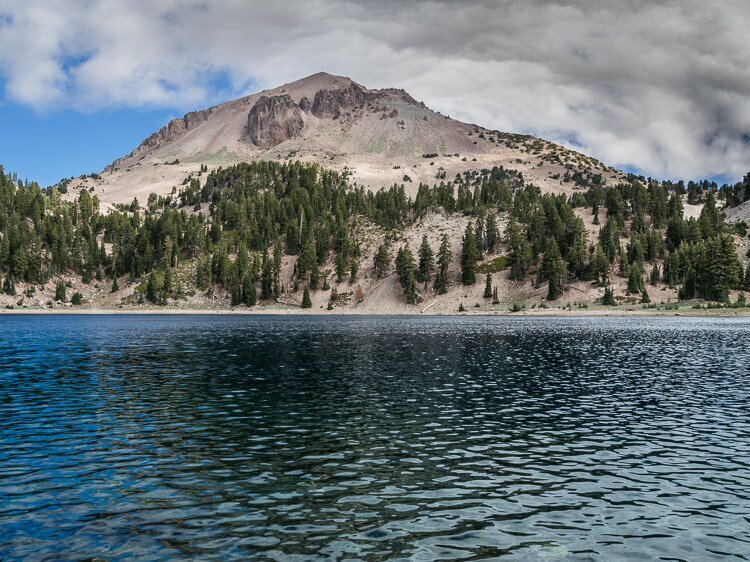 I spent Labor Day weekend at Lassen Volcanic National Park in northeast California. In the forecast was clouds and perhaps a bit of rain, so it seemed a good time to visit the park, which, in the summer months at least when the main road through the park is not covered in a thick blanket of snow, tends to be dominated by sunny, cloudless, boring skies. When the clouds finally broke and the skies shone blue and clear, it was time to take the four hour trip home, back to the northcoast.